What a wonderful solution for my jewelry! I too would give 10 stars if possible. I’ve tried everything – various jewelry boxes, jewelry armoire, JR hangers(both – Velcro hangers for necklaces & one with pockets), but nothing worked for what I wanted. I wanted some way to display all my jewelry where it was viewable so I knew what I had. When I started filling up these WOW Organizer Hangers, I found items I had forgotten I even had. It’s so wonderful to look up and see all my necklaces, pins, earrings etc. right before my eyes, to easily find what I’m looking for to match my outfit. I’m hanging them on the wall as part of my bedroom “decor” – different but practical. Sadly I still keep sterling in a jewelry box to prevent tarnishing – wish it could also hang where I could see it all. 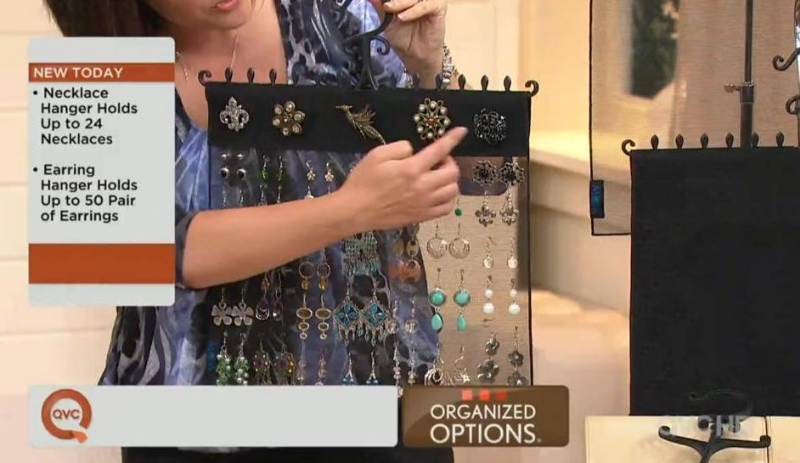 Thanks to the WOW ladies for a brilliant solution to the jewelry storage problem. I love this set! admin has contributed 7 entries to our website, so far. View entries by admin.